This is priceless, a true gem, legend Tommy Lasorda reading the classic poem, ‘Twas the Night Before Christmas. From Baseball Betsy and Baseball Ross, Merry Christmas to all and to all a good night! Baseball Ross and I do not have any biological children, BUT we now have what we call our three “baseball sons”. 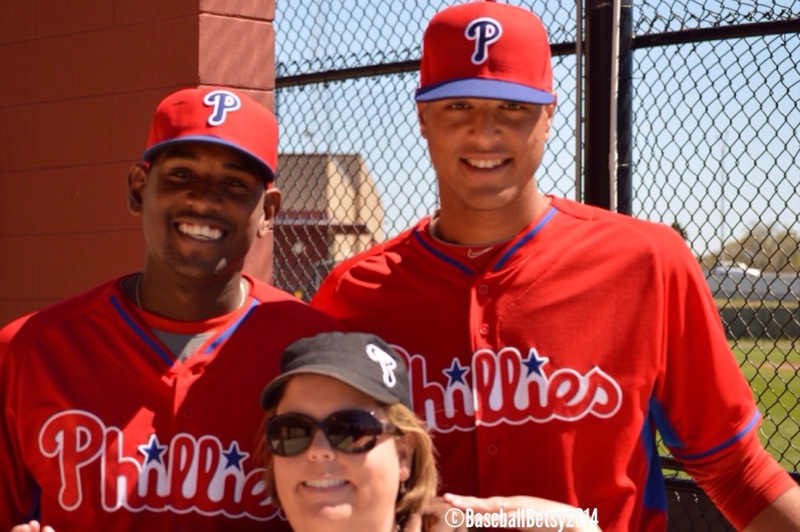 Over the last two years, we have been fortunate enough to meet three minor league players who have become our sons. That simple gesture of kindness began a friendship. From that day on, we always went out of our way to say hello. We got to know his friend Ranfi Casimiro as well. It was an easy friendship and we all seemed to just enjoy each other’s company. When the season was over, the friendships continued. I was friends with both Sanchez and Casimiro on Facebook and we would message each other thanks to the miracle of translator apps. Sanchez also used our messaging sessions to practice his English. (He’s now fluent.) One day Sanchez made the comment it was like I was his “American Mom” and the name stuck. From that point on, they were our boys and we were their “American Parents”. We called both boys, “son” and they called us “mom and dad”. When they returned for spring training, it was like they had never been gone. When spring training was over, Casimiro went to Lakewood and Sanchez stayed in extended spring training before going to Williamsport. The part I left out then was that when we went to see Casimiro in Lakewood, it was the day before Father’s Day. Casimiro says to Ross, “You stay for the game tomorrow, tomorrow is Father’s Day and all the fathers throw out the first pitch. You are my father, I put your name in to throw for me.” It was one of the sweetest things I’d ever heard. I still get misty-eyed thinking of it. 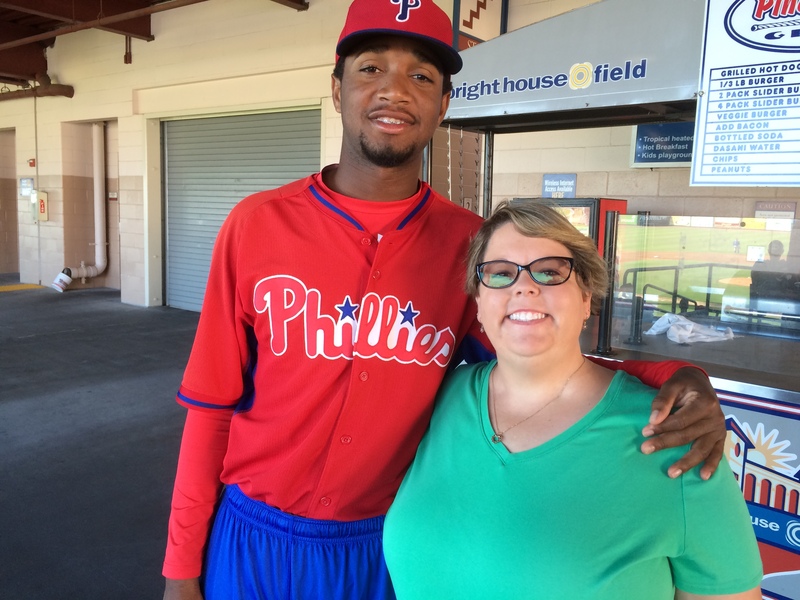 It was soon after we returned that our third “son” Elneiry Garcia returned to Clearwater after some time in Williamsport. He was Sanchez’s other good friend and we spent many afternoons with Garcia watching the GCL games. Soon, he too, called me “mom”. Garcia was here for Fall Instructional League as well. Just like the year before, once the boys returned to the Dominican Republic, they kept in touch over Facebook. Then Sanchez got hurt. 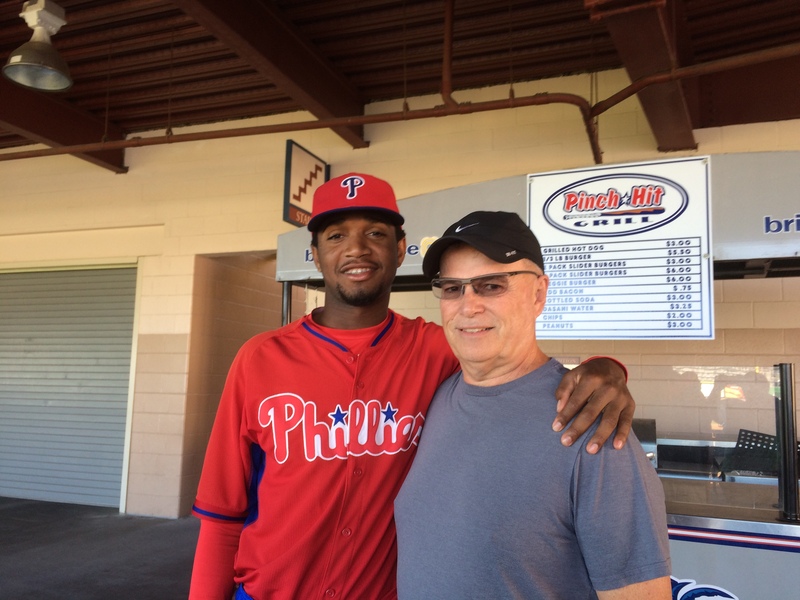 He messaged me from the Dominican saying he had hurt his knee and was being sent to Philadelphia for treatment, then to Clearwater for rehab. I was so sad he was hurt, but we quickly decided that we would make lemonade out of the lemons and celebrate having extra time with our son. When he arrived, he was not allowed to leave the team hotel except to go to the Carpenter Complex for therapy. So we went to the hotel with dinner and a big bag of my homemade chocolate chip cookies. We spent a few afternoons sitting in his room sharing dinner and enjoying each others’ company. 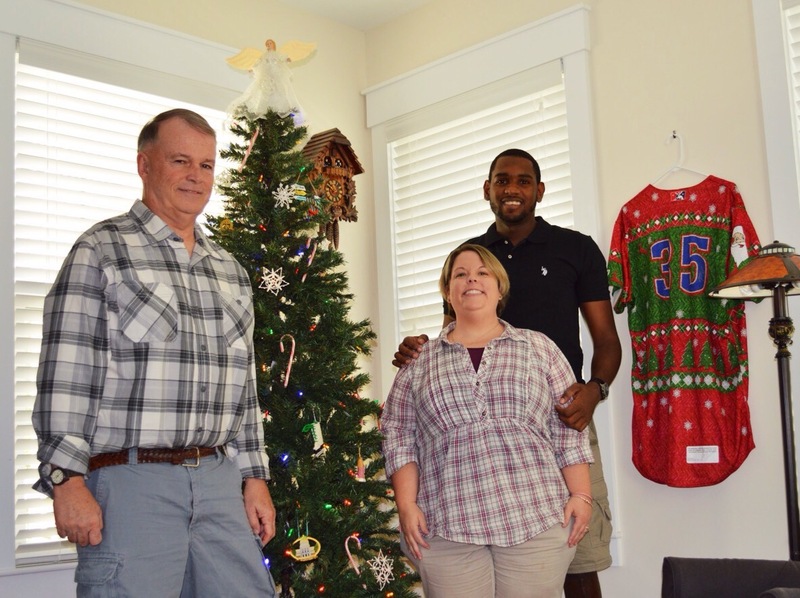 Just before he was to return to the Dominican, he was given the “all clear” to visit. We had an early Christmas. We decorated the tree and had dinner. It was great to have a “kid” in the house for Christmas. It really drove home the importance of the holiday to me. It’s not the gifts, it’s not the pretty paper, it’s not the crazy whirlwind of activities that I used to associate with the holiday, it’s being able to spend time doing things like decorating a tree and big hugs that make it the most wonderful time of year. I’m sad that Sanchez was hurt, but it was also a blessing, because now my heart is full of the Christmas spirit. So this year, remember that the real meaning of Christmas is the blessings of family, no matter how you found that family; because family can be more than just “blood”. Merry Christmas from Baseball Betsy, Baseball Ross and our son, Feliberto Sanchez.